If you have never visited the site of DrBillWooten@wordpress.com – I enthusiastically encourage you to do so. Dr. Bill provides me with a daily dose of thought-provoking quotes paired with amazing pictures that enhance the inspirational impact of his posts. He was kind enough to include me in his list of Sunshine Bloggers, and I am very appreciative. Rather than respond to the questions – for which I still haven’t answers, I am excited to once again acknowledge some blogs which I now routinely visit. I’m trying not to repeat the names of ‘old friends’ (six months being the definition of ‘old’); I trust you know how much I think of your writing, your heart and your humor. First and foremost there’s kizzylee@wordpress.com – She included me in a game of tag, and I think I’m still ‘it’. I may be a failure at the game, but kizzylee hits it out of the park every time she shares her perspective on life and family, challenges and joy. I think she writes as she must speak – fluid stream of consciousness that is a joy to follow. Momentumofjoy@wordpress.com – Joanna doesn’t ignore the tough stuff, she just refuses to give it any power over her approach to life. She has amazed me with her writing, but also on a personal level with her knowledge of me (without ever having met or spoken with me). She shares her gifts with heartfelt generosity – I am but a lucky recipient. You will leave her blog always the better for having visited. PaperKeeper@wordpress.com – Bonnie calls it as she sees it – but always with a smile on her face and in her blog. I am a relatively ‘new’ visitor, but am thrilled that I have made the connection! You will be too. AGratefulMan@wordpress.com – Russ makes me want to be a better person. Don’t ask me how he does it – it’s just reflective of who he is. Genuine, funny, deeply caring, observant…I could go on, but I’ll sound like a mush (ok, I am a mush). Russ is a grateful man; he is also an amazing one. TeacherAsTransformer@wordpress.com – I think many of you already know Ivon’s beautiful work and equally impressive photography. If you have not had the delight of reading his blog, please visit – you’ll be so glad you did. SusanDanielsPoetry@wordpress.com – I found this site through HelpMeRhonda@wordpress.com – and I am continually amazed at Susan’s talent and her prodigious ability to make words leap into your heart or challenge your perspective. TracyLouisePhotography@wordpress.com – The most amazing images from an amazing talent (who is so self-effacing she doesn’t even realizes how talented she is)…You’ll be awed – and she’s self-taught!! There are more, but I want to save some up just in case I get lucky again and get to share more with my friends. Thank you again and have a superlative Sunday! Posted on August 5, 2012 by mimijk •	This entry was posted in friendship, humor, inspiration, life lessons, mindfulness and tagged writing. Bookmark the permalink. Awww–thank you! I normally don’t do awards any more, but for you, Mimi, I will! Thank you!! I don’t really either, but I love Dr. Bill…and I love your poetry, so…. Yay Yay for you, Sunshine is what you DO! And I love every one of your nominees…yes people, if you don’t know them…RUN…they are AWESOME! Congrats Mim! Congratulations Mimi, and thank you for a list of new blogs for me to visit! I am sorry to inform you that almost every address you listed of the different recommended blogs are incorrect addresses. Thank you for telling me Shimon – I have heard from most of the people that I had listed, and none told me that their addresses were incorrect. I will go back and write to each one. Congrats, Mimi, more accolades flow to a fabulous blogger and special friend. And as Tina mentioned, thx so much for all the tips on other special blogs to check out! Some of them I got from you and David! I am greatly touched by your kind and generous compliments, Mimi. Rarely has a compliment meant so much to me. Thank you! I meant every word Russ. Sometimes I feel limited by my vocabulary, for I would have articulated it even better if I could. 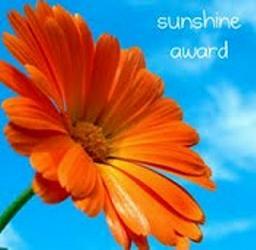 Congrats my dear…you are all that Sunshine Award is for and so much more! You are so so kind my friend! I feel like I am in the best company…thanks for the invite to the ‘party’- I have to go and meet your other guests 🙂 The moment is very pleasant..and I will also eat the cookie! Mimi, I am thrilled that we have made this connection – you do shine and I am better for it, to be in the midst of you. Love that. Made me smile. I’ll share my Double stuffed Oreos with you anytime! 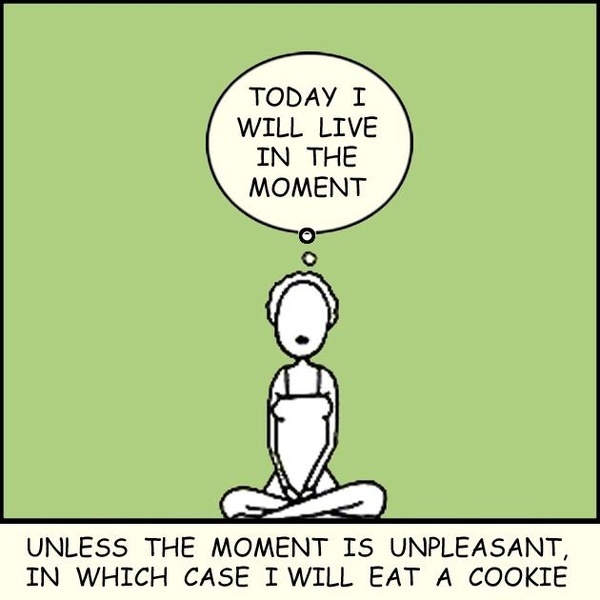 Unless the moment is unpleasant in which case I will eat a cookie. Words to live by right there! Thanks for the great blogs to check out. I’m always happy to share my double stuffed Oreos – even when I’m down to the last one..I hope you like some of these blogs! Well done Mimi Thank you for the comment. I love Dr. Bill’s blog, I love your blog and now I can’t wait to find some others that you have recommnded! Thank you!!! You definitely ‘did justice’ 😀 And stopping by your place is always my great pleasure.